Once upon a time a simple poke was the height of innovation. Now Facebook has gone all live. The ceaseless renovations to Zuckerberg’s palatial social construction means marketers have been left with (yet) another update to untangle. Facebook Live - a standalone streaming service - is being hailed as the “next step” in social media (albeit by a berg-sized vested interest). The new feature has been gingerly releasing over the past few months - with celebrities such as Dwayne Johnson (of WWF fame) and Eva Longoria (that desperate lady) pioneering the feature since August 2015. But, now (since 6th April) the tool is open to everyone. "Enough of the celebutante hype", we collectively scream. What does this latest iteration of the world’s largest social tool actually mean for ecommerce marketers? NB: only brand and publisher Pages verified with a blue tick have access to Facebook Live. “With Facebook Live you can use your phone to share a moment instantly with the people you care about. This means your friends, family or fans can be there with you, and you can respond to their comments and see their reactions,” said Facebook in a company statement. 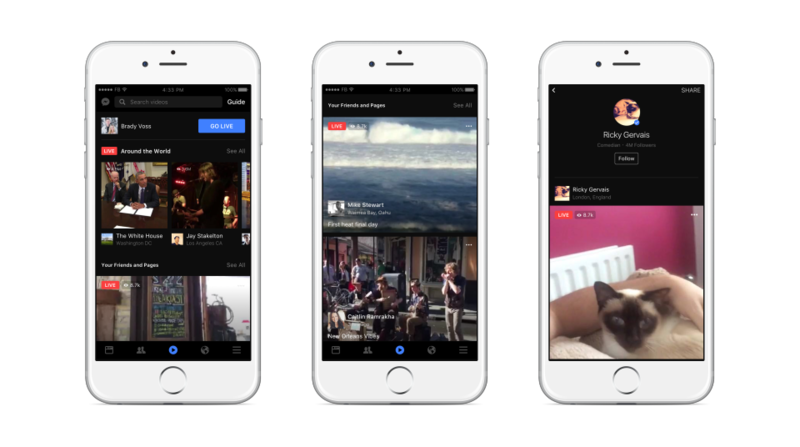 Facebook Live, like its Periscope, Meerkat and MeVee brethren, lets you stream live video from your mobile device and can be launched from a profile page or from the Mentions app. Emojis are there to help viewers share their mood about the video as they are watching, providing an instant way to gauge the feelings of audiences. Video distribution happens the way it does for any other Facebook post. People who like a Page might see the post in their News Feeds or receive notifications. Live videos include a “subscribe” button that when clicked or tapped will enable notifications any time a Page launches a live event. Facebook Live matters because the feature can connect you with your built-in audience. When you go live, the video goes out in the notifications and in the news feed and gets great organic reach. It’s pretty exciting for marketers because it gives the ability to create an intimate, authentic connection with your audience - something consumers demand in an increasingly personal age. The feature could helps brands leverage the ever-growing preference for video content by consumers and even other businesses. The function is pretty easy to use: a verified Page can publish content, and while the broadcast is going, the owner of the verified Page can see how many people are viewing the event (including the names of other verified people or Pages that are watching). The Live event is then posted onto your timeline and can be viewed at any time, acting as another source of video content to populate your Facebook channel. Interested viewers can subscribe to Live videos and receive notifications when a future Live event is about to launch. So far popular content has included: product reviews, demonstrations, extra content to support existing content (such as live shots of podcasts) and community engagement activities, such as Q&A sessions. Did you know: nearly 50% of Facebook visitors actively look for products, with a majority discovering new products in their News Feed, pages and groups - according to Facebook. When you go live, your subscribed fans are sent notifications. The Live video appears in your fans news feeds (and gets great organic reach). The Live event will be published on your timeline so people can watch later. Owner of the verified Page can see how many people are viewing the event. Emojis are an instant gauge of audiences feelings and emotions - a nice engagement tool. If you want to get going, Facebook recommends several best practices for Facebook Live. So the F8 Conference happened: what else should I care about? So Facebook Live going mainstream wasn’t the only recent headline you should've read. A range of new features are promised to beef up Facebook’s ecommerce capabilities, following Facebook’s (always impassioned) F8 Developer Conference last week (12th April). Brands will soon be able to send customer support on Facebook Messenger through Chatbots. Chatbots includes an API for the app, as well as chat widgets for the web. The goal is that Messenger will become a place for companies to replace their current customer service lines, ecommerce portals, with Chatbots. As well as these Chatterbots (not official name) the Messenger platform will now support sponsored messages. Bartering site, eBay, announced it would be using Facebook’s new function to send Messenger users notifications from eBay when an auction they bid on, or are watching, is to end (or if some cheeky blighter outbids them). 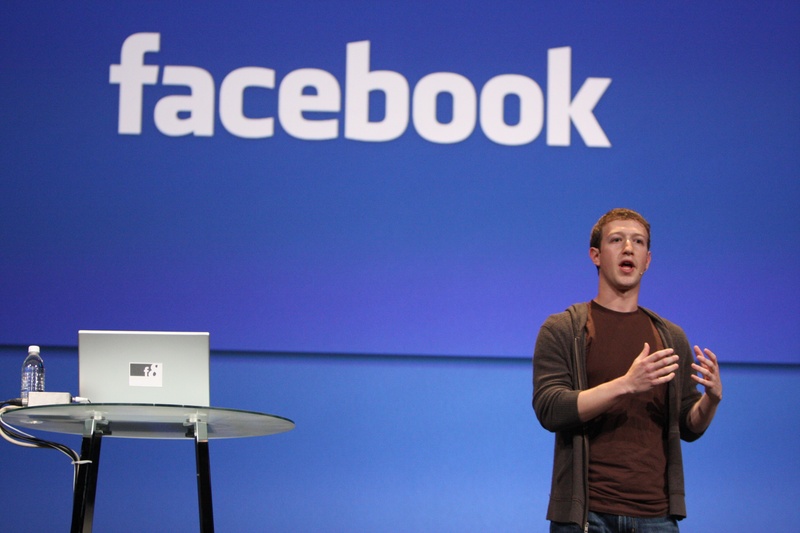 Facebook(ers) will be able to mute or block messages they’re not interested in. Though the feature is still in testing, start thinking about who you could start using Bots for with your brand - given that Messenger has around 900 million monthly active users. You can find the beta release of the Facebook Bot engine here. In a bid to further capitalise on the growing momentum of social commerce, Facebook has partnered with BigCommerce to let more merchants open shops on their Facebook business page. The feature was already available to a select few, but the partnership will let more brands list inventory directly on their page, letting (interested) retailers add the “Shop” section to their business’ Facebook Page. Akin to Shopify, retailers can use to the tool to display and promote curated product collections, letting shoppers discover new products, subscribe to updates when new items are added and purchase them through the business’ online store. The expansion marks an exciting development - on a tool that accounts for 50% of total social referrals and 64% of total social revenue. A tempting extension of your current offering, no? Video streaming on Facebook presents a unique opportunity to interact with users on an extremely buoyant social tool. Live videos could help you showcase product knowledge, increase fan followers and boost your customer base - and Facebook Live seems to get higher organic reach than other types of content - it’s definitely worth discussing at your next marketing brainstorm. 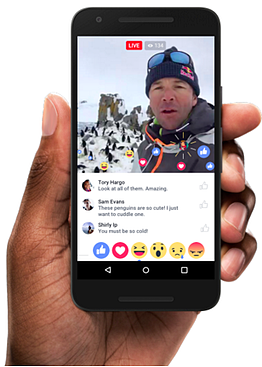 Also, advertisers rejoice, there are rumours Facebook will offer live-video publishers in-stream ad options. Watch out.